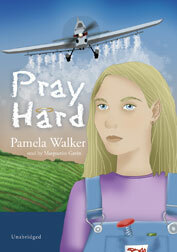 At twelve years old, Amelia Forrest has a lot to pray for: improving her poor grades, mending a strained relationship with her mama, and, most importantly, absolving her guilt over the role she played in her daddy's plane crash. But now Amelia has stopped believing in anything. Not prayer. Not miracles. And certainly not the crackpot visions of an ex-convict named Brother Mustard Seed who suddenly appeared at their door, even though he claims to have contact with her daddy.